When examining any type of customer feedback, one issue that you will come up against is that the feedback people give is not like the feedback you get from a thermometer. Feedback is part our everyday life, from parents, school, sports/fitness, through to 360 degree appraisals at work. 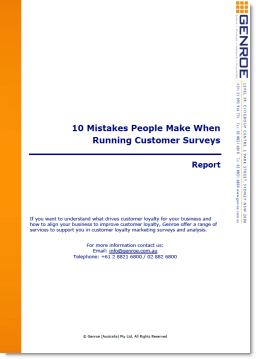 Why then do many companies seem to be afraid of receiving feedback from their most valuable resources – customers? What is the role of Customer Feedback in the ITIL Framework? Recently, a colleague of mine had an interesting conversation with the service delivery manager for a well known IT company. The discussion turned to customer experience management and the service deliver managers noted that his only “measurements” of the customer experience were, essentially, the ITIL service delivery process. If you’ve never heard of ITIL you probably don’t need to worry about it. It is a framework of concepts and process for IT systems development and management. If you’re keen to know more have a look on Wikipedia ITIL.